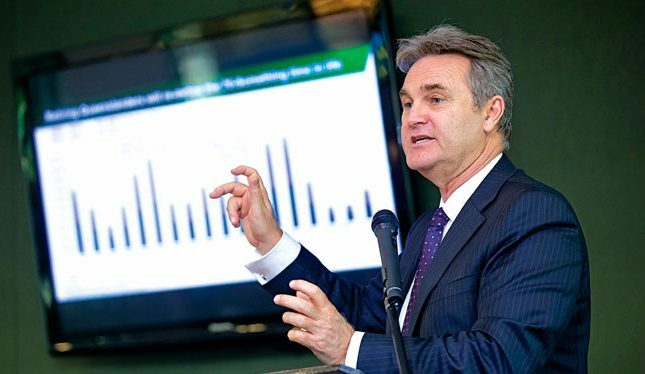 Global trends expert and leading Australian demographer, Bernard Salt, is due to visit Port Macquarie and share his unique insights into the future of our communities, lifestyles and economics. The social commentator delivers high altitude, big picture demographics and will be the featured key note speaker at the next Port Macquarie Chamber of Commerce Boardroom Lunch on Wednesday, 26th September. Mr Salt’s specialty lies in tracking global megatrends and his presentation will include conversations around business in the Asian century, managing generational change and what jobs and customers of the future may look like. He has appeared on The Project, 60 Minutes, SBS Insight and Lateline with the media and global business holding his conclusions and recommendations in high regard. “We are most fortunate to be able to host such a high calibre personality for our Boardroom Lunch. Not only will Bernard Salt deliver an entertaining and informative presentation, but he will also be focusing specifically on Port Macquarie and the surrounding regions; where we have been, where we are now and where we might be headed in the future,” said Mark Wilson, Executive Officer, Port Macquarie Chamber of Commerce. Ballroom. Tickets include a complimentary drink on arrival, a two course meal and the opportunity to engage with one of the nation’s most visionary personalities. Organisers encourage guests to secure their tickets quickly to avoid disappointment, by visiting the Port Macquarie Chamber of Commerce website, where they can purchase tickets online and find further information.